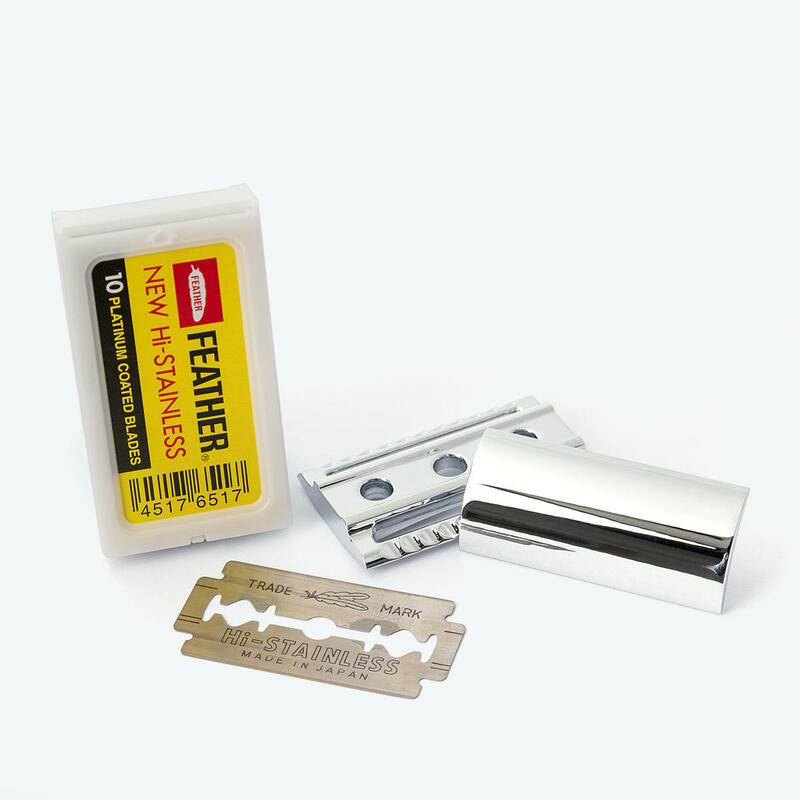 Feather double edge safety razor blades manufactured from stainless steel. For use with your Eltham or Osterley Safety Razor to yield an extremely close shave. 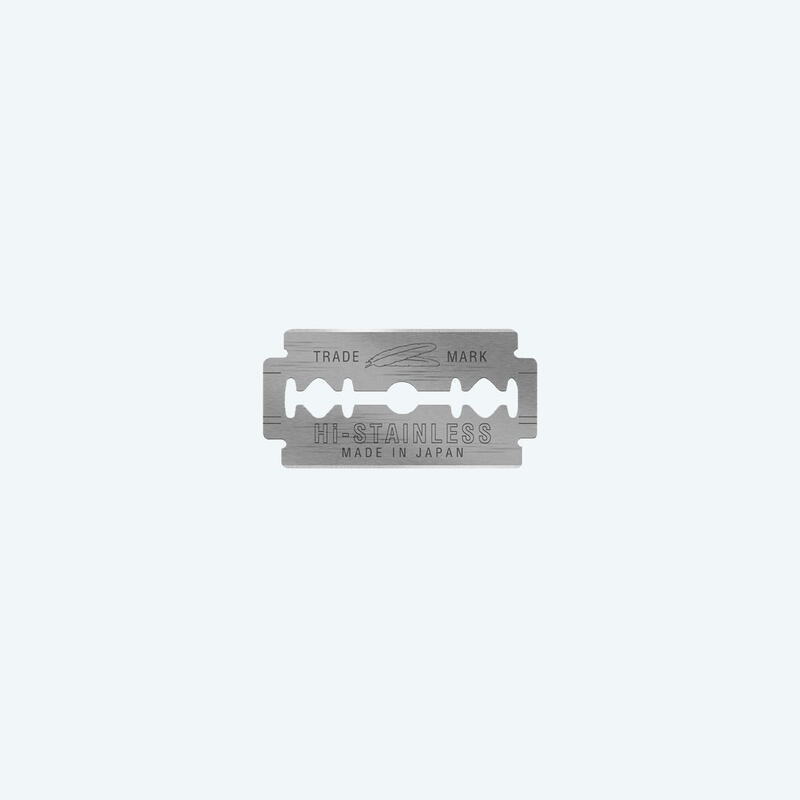 Ideal for experienced safety razor users. 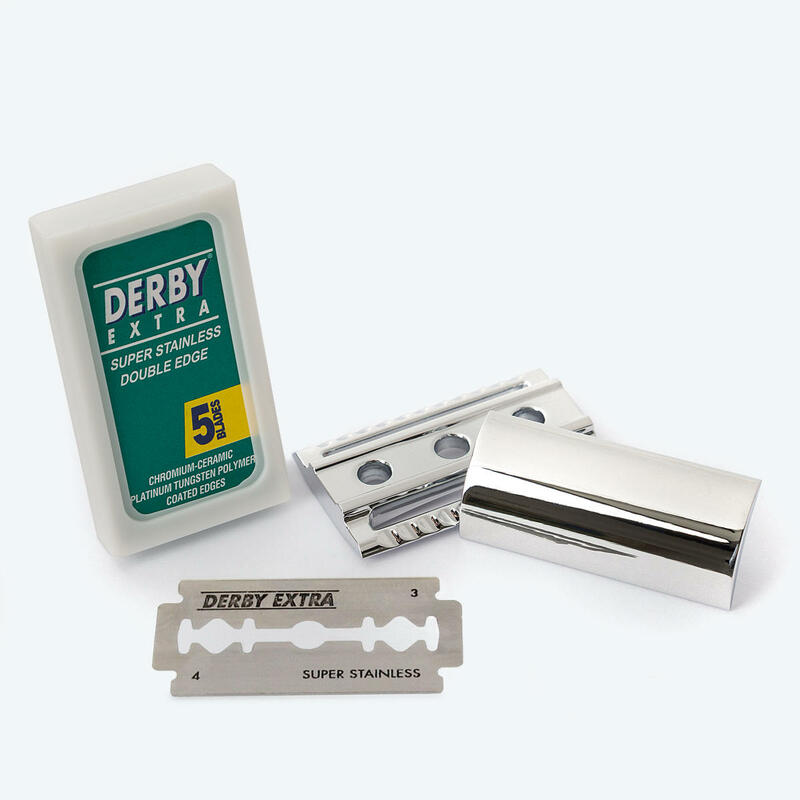 Each pack contains 10 double edge blades. Each blade will last 5-7 shaves.